Challenging widely-accepted views within the self-esteem movement, author Joseph Burgo argues that self-esteem does NOT thrive in the soil of non-stop praise and encouragement, but rather depends upon setting and meeting goals, living up to the expectations we hold for ourselves, and finally sharing our joy in achievement with the people who matter most to us. Along the way, listening to and learning from our encounters with shame will go further than affirmations and positive self-talk in helping us to build authentic self-esteem. 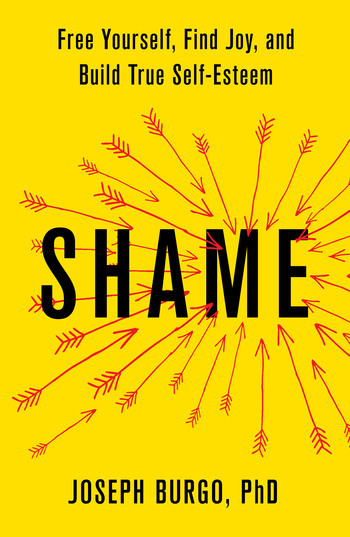 Richly illustrated with clinical stories from Burgo's 35 years in private practice, Shame also describes the myriad ways that unacknowledged shame often hides behind a broad spectrum of mental disorders including social anxiety, narcissism, addiction, and masochism. "A powerful examination of a painful emotion. Based on his wide experience as a psychotherapist, Burgo analyzes several types of shame and gives examples of working through it. It’s filled with hope and ways to weather the storm of shame and actually grow from it. It will help everyone, from those who experience occasional shame attacks to those with chronic shame. I was particularly encouraged to see the emphasis on self-esteem as something you learn from your own success, rather than something others can give you. Working with today’s parents, I couldn’t agree more." "Dr. Joseph Burgo has written a powerful book which will be a boon to readers everywhere. Drawing on cutting-edge research and thirty-five years of experience as a therapist, he carefully builds a case for why we need to move away from seeing shame as a single and toxic emotion and, instead, understand it as a complex of emotions which, counterintuitively, can help us embrace our true selves and experience greater joy in living. Burgo is a fine storyteller with great empathy, and the stories of patients (and, yes, his own) vividly demonstrate how facing shame is the well-spring of true respect and pride in the self. His argument is by the far the most cogent in explaining why the notion of self-esteem being founded in constant praise and lack of criticism is both wrong-headed and ultimately destructive. Step by step, Burgo shows us both how to give voice to the feelings of shame that have been holding us back and to bolster our ability to identify what we’re feeling with precision. On every page, but especially in the unique exercises at the end, Shame encourages us again and again to look not just at what shames us but why it does and to face both squarely. It’s a book I will recommend to my readers without a single reservation. " "With the skill of a master storyteller, Burgo vividly brings to life, through his clients’ struggles and his own, our shared journey to accept a startling truth: shame can either hobble us or help us thrive; it all depends on what we do with it. Savor this book’s lessons and exercises. You’ll come away with the kind of self-compassion that makes us all better people. "